YAY! 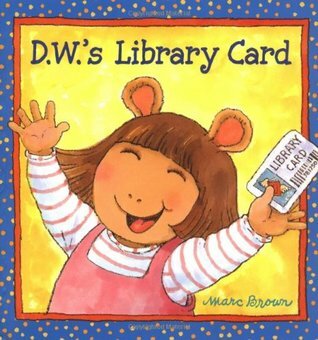 D.W. is getting her own library card; or she will as soon as she can write her name completely on her own. Of course little D.W. is excited, who wouldn't be excited about being able to check out their own books. The book is fun and perfect for young readers.